Jason calls out for Sam but is it too late? 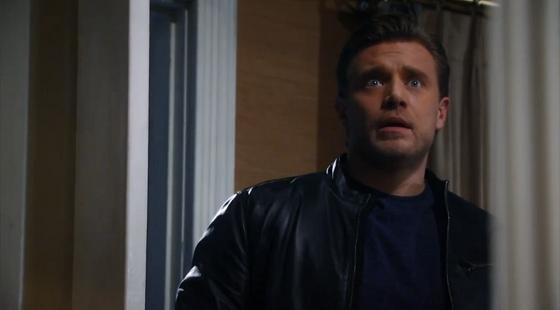 Check out the day-to-day spoilers and a sneak peek video below to find out what's happening on ABC soap opera General Hospital during the week of February 8-12, 2016. Jason (Billy Miller) tries to reach Sam (Kelly Monaco) before it's too late; Anna (Finola Hughes) surprises Paul (Richard Burgi) with a visit; Carly (Laura Wright) and Sonny (Maurice Benard) offer Michael (Chad Duell) advice about Sabrina (Teresa Castillo). Elizabeth (Rebecca Herbst) worries about Jake's (James Nighbor) part in Sam's experience; Ava (Maura West) presents Julian (William deVry) and Alexis (Nancy Lee Grahn) with a unique wedding gift; Anna wants to dig into Paul's family life. Nikolas (Tyler Christopher) searches for answers; Hayden (Rebecca Budig) infuriates Tracey (Jane Elliot); Dillon (Robert Palmer Watkins) has an idea for the upcoming Crimson issue. Liz finds a surprising source of comfort; Hayden notices Tracy's behavior; Nathan (Ryan Paevey) is uneasy around Dillon. Maxie (Kirsten Storms) and Nathan go to great lengths to reunite Lulu (Emme Rylan) and Dante (Dominic Zamprogna); people are summoned for the reading of Helena's will.